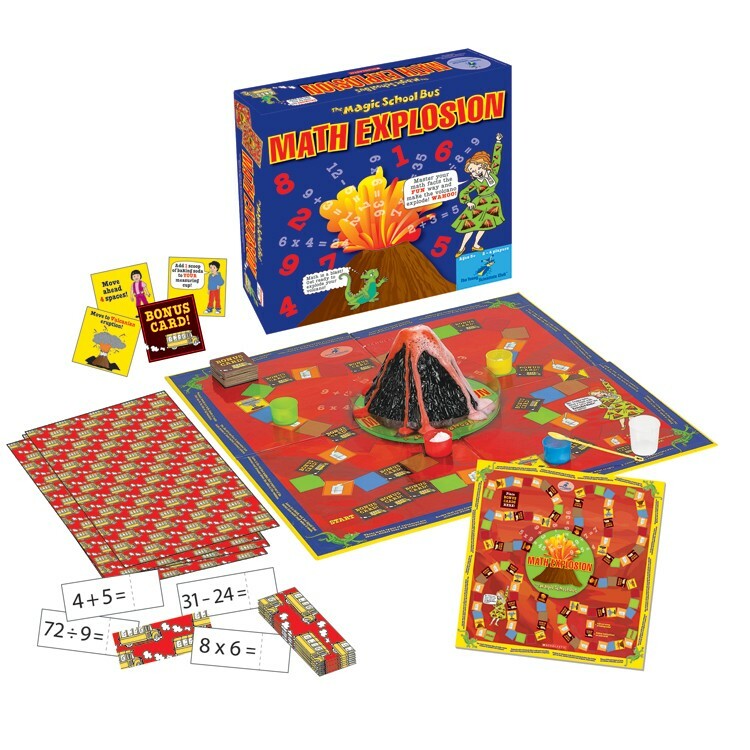 Let kids master their math facts the playful way and make the volcano on the board game explode as they play the Math Explosion educational game! 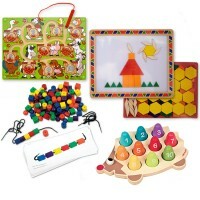 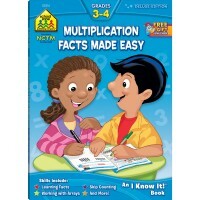 Math Explosion Magic School Bus Math & Science Game. Math Explosion Game Makes Math a BLAST! 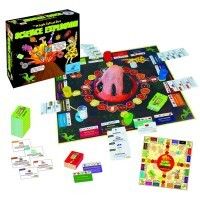 Math Explosion combines science and math into an entertaining and exciting game for all ages. 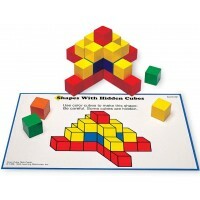 With this fascinating game, players are able to customize math facts with a math fact creator so that players of all ages can play for many years to come. 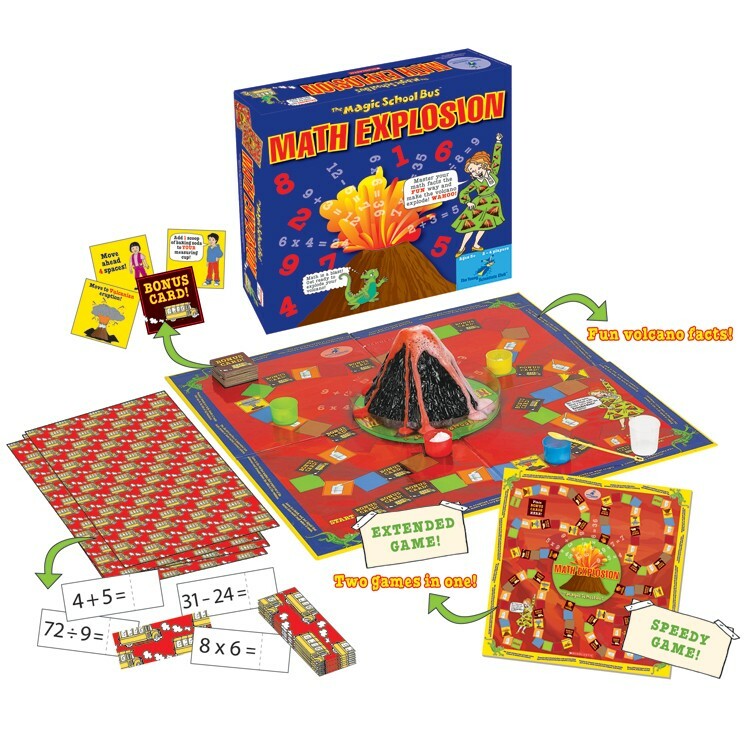 Be the first player to explode the volcano by getting your math facts correct! 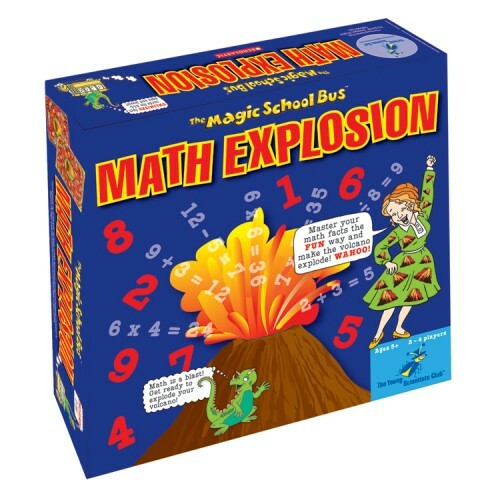 Math Explosion makes math a BLAST with a two-sided colorful laminated game board which includes both a speedy and extended game, fascinating volcano facts in the border, a volcano for the explosions, a bowl to catch the volcanic lava, colorful measuring cups as moving pieces, bonus cards, printable math fact sheets, and an on-line math creator for unlimited math facts. 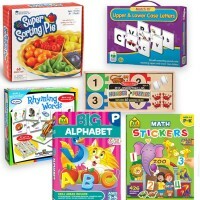 Includes 20 bonus cards. 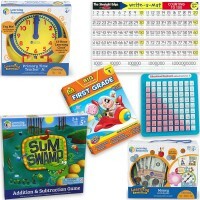 Create unlimited math fact cards using the online math fact creator. 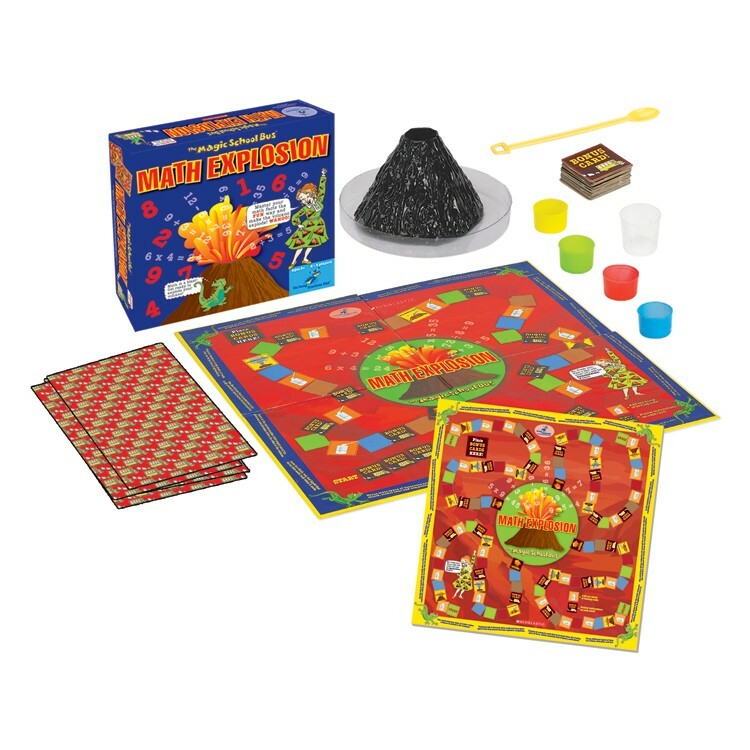 Fun volcano facts. 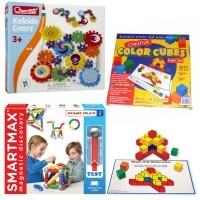 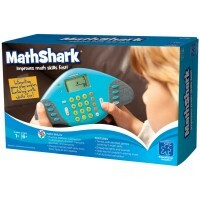 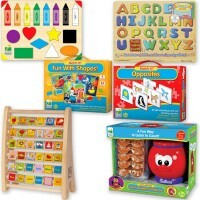 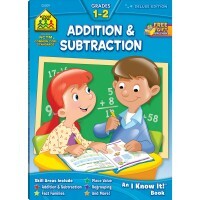 Dimensions of package 12" x 12" x 2"
Write your own review of Math Explosion Magic School Bus Math & Science Game.